That's a question residents of Palm Beach Gardens, Florida may not be asking if a regulation aimed at shutting down puppy and kitten mills goes into effect following a city council vote in July. The South Florida suburb isn't the first municipality in the state to ban the retail sale of dogs and cats. Over the past three years, 20 cities in Florida have adopted similar bans, according to Melanie Kahn, senior director the Humane Society of the United States’ Puppy Mills Campaign. More than 10 of these ordinances were enacted this year, and between six and eight more Florida cities are considering their own bans. Roughly 30 other municipalities nationwide, including Los Angeles and Chicago, have enacted restrictions on the sale of dogs and cats. But Florida is spearheading the charge. The goal isn't to shut down pet stores but to clamp down on commercial dog and cat breeders, commonly known as puppy mills. Many of these breeders keep their animals in poor conditions and force the parent animals to breed too frequently, leading to congenital and health problems for puppies and kittens. "It seemed to us this was the only way we could stop this industry." 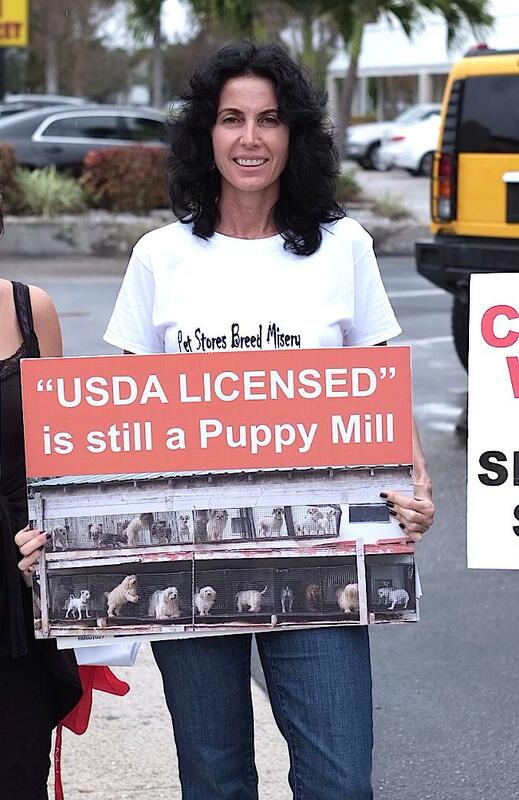 Florida has virtually no animal mills, but it does have one of the largest numbers of pet stores in the country, according to Cori Menkin, senior director of the ASCPA’s Puppy Mills campaigns. This high concentration of pet retailers has fueled the popularity of these bans. “We were frustrated because we couldn’t regulate [the puppy mills]. It seemed to us that this was the only way we could stop this industry,” said Michael Ryan, mayor of Sunrise, Fl., a city that recently enacted its own ban. Hallandale Beach City Commissioner Michele Lazarow has led the charge when it comes to getting this legislation passed in Sunrise and other Florida cities. She entered the legislative storm surrounding pet retailers following a bad experience at a local pet store in 2004. The Maltese puppy she purchased developed a congenital disorder preventing it from holding protein - a common problem, Lazarow said, in small dogs from puppy mills. Michele Lazarow has spearheaded a movement across the state of Florida to ban the sale of dogs and cats in pet stores, in an effort to clamp down on the retail pet industry, which she said fuels puppy mills. Starting with her own town in Florida and nearby Margate, a quiet suburb of Ft. Lauderdale, Lazarow began trumpeting pet store reform. These days, she travels across the state almost every day, persuading local lawmakers to enact their own bans. Because municipal lawmakers are more attuned to issues with individual stores, Kahn said, they can more effectively lobby for these changes. Lazarow hopes eventually to create enough support on the local level to pressure state lawmakers in Tallahassee to push for broader laws, which until now the legislature has yet to do. “Lawmakers in the state house are consumed with much bigger issues,” said Kahn, adding that Florida has no statewide legislation on puppy mills, in general. Across the country, in Albuquerque, New Mexico, the only nearby pet store selling dogs and cats went out of business after a ban was enacted there, according to Peggy Weigle, Executive Director of Animal Humane, a private animal rescue in Albuquerque. Euthanasia rates have dropped by around 65 percent at Animal Humane and by even more at Albuquerque’s city-run shelter, Weigle said. Both shelters now take in fewer unwanted animals and adoption rates have gone up. "The mills are going to thrive because people have to go somewhere." But those within the pet retail industry believe these bans punish those who aren’t at fault in this system, rather than truly fix problems with commercial breeders. “They are creating a situation where they are actually penalizing the good breeders who work to make sure their animals are raised in good conditions,” said Mike Bober, vice president of government affairs for the Pet Industry Joint Advisory Council (PIJAC), a trade organization that serves pet stores, veterinarians and breeders. Additionally, opponents believe that these bans will force individuals who commercially breed animals to turn to the Internet and other unregulated means of selling their animals. When Palm Beach Gardens’ ban comes into effect, Goes said she’ll likely have to close her business because roughly 90 percent of her business is puppy sales. "Everything else is extra and it doesn’t pay the rent," she said. Shoppers look over the merchandise at a PetCo store on July 14, 2006 in Chicago, Ill.
To combat this, the Humane Society works with stores affected by these bans or looking to stop selling animals from mills to ensure they continue to make money, Kahn added. Some of their strategies include setting up additional services, such as grooming and obedience lessons. They also partner stores with local animal shelters to help adopt dogs or cats. 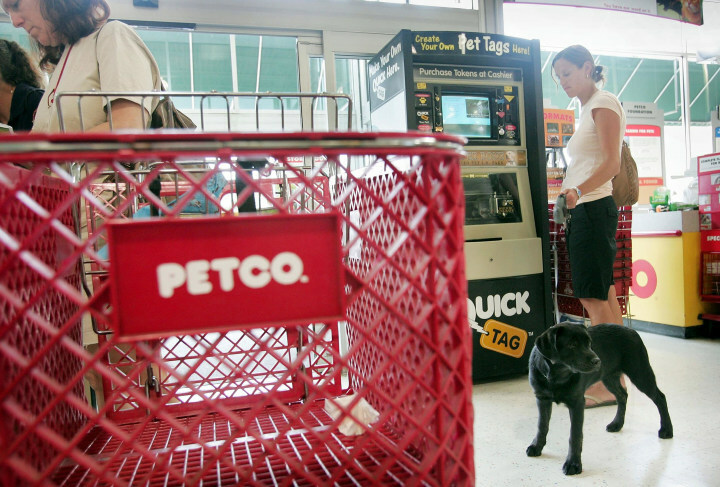 Large pet retail chains including Petco and Pet Supermarket have adopted these strategies, which Kahn said help stores remain in business without selling animals. “They can still have cute faces in the windows,” Kahn said. Those within the pet store industry contend that these transitions still place an undue burden on the pet stores affected, with many not being able to withstand the change. Kahn disagrees, however, and points to the “multiple pet stores across the country” that the Humane Society has helped to transition. “They’ve all been successful in the transition and in fact some were more financially successful now that they’re not selling puppies because of the goodwill generated in the community,” Kahn said. In any case, even Lazarow admits that the municipal-based bans are not without their faults. As she pointed out, cities that choose not to enact a ban on the sale of these animals can create a situation in which pet stores simply relocate there and set up shop. “You become the keys to the kingdom if you have every city that surrounds you with a ban and you don’t,” Lazarow said.